Over the past 6 months, the team at the Australian Rhino Project have been particularly focused on solidifying the next stages of the rhino relocation project. When our team first embarked on this project over 3 years ago, we could never have understood the complexities and intricate details involved in relocating rhinos to Australia. As we all know, the situation for the rhino continues to deteriorate in South Africa and our urgency has in no way diminished in our attempt to helping make a difference to the future of the rhino in the world. 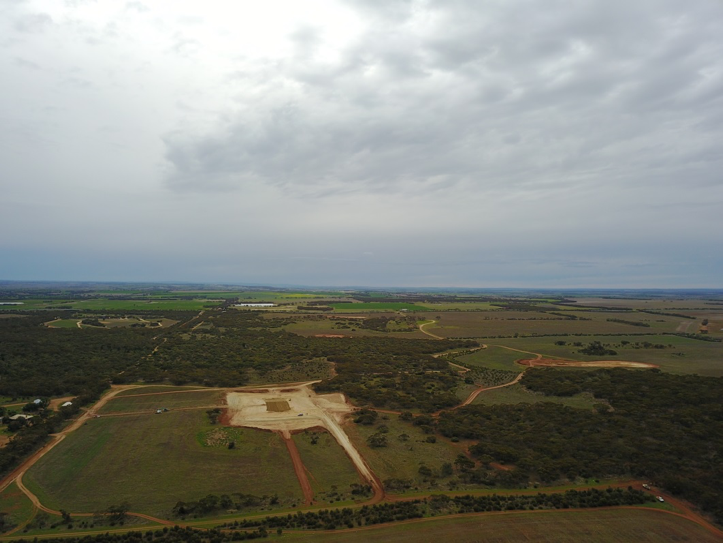 The construction of the open plain area for the rhinos at Monarto in South Australia continues with the construction reaching a recent milestone in the completion of the first perimeter fences. Work has also commenced on the quarantine facility that will be home to the rhinos when they first arrive in Australia. The committed team and volunteers at Zoos South Australia need to be commended for their hard work during this construction phase. Attached is a recent article from the Adelaide Advertiser with some more indepth details. Click here. 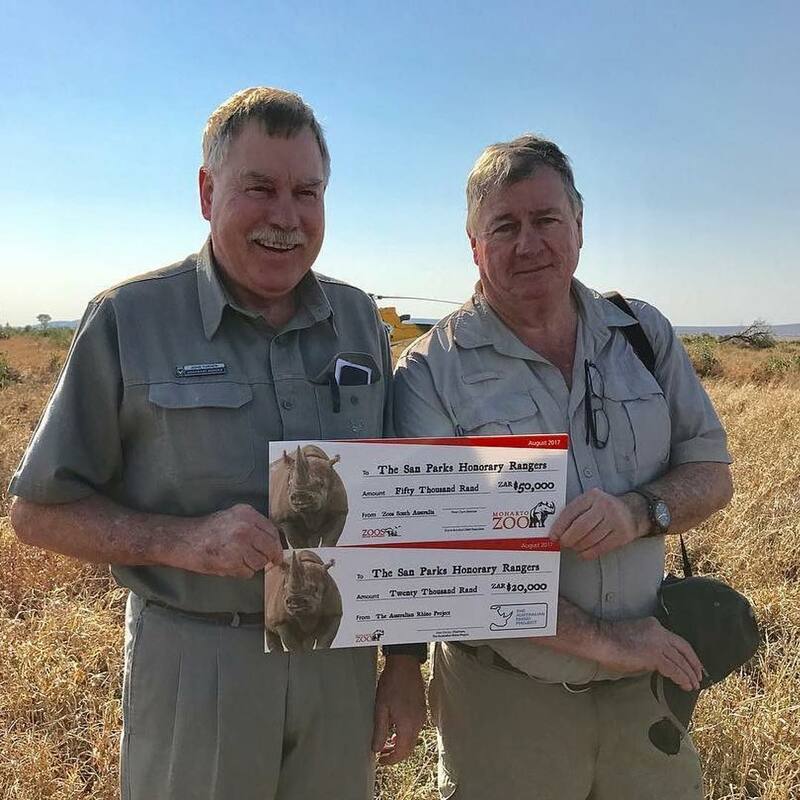 We were very pleased this month to make a donation, in conjunction with Zoos South Australia, to the SAN Parks Honorary Rangers who operate programs that reach out to communities who border Kruger National Park to create an appreciation for the benefits of nature conservation and grow support for the conservation of wildlife. The Honorary Rangers also provide support for anti-poaching initiatives by donating much-needed equipment, supporting the air-wing and funding the training of the Rangers and K9 units. After many meetings and phone calls with Australian Government officials, we now have a deep understanding of their requirements for the relocation. One complication that has arisen for our project has been some positive test results in rhino for bovine tuberculosis (TB) in the Kruger National Park region. There is now a restriction on rhino transfers from this region of South Africa for the immediate future. GIven Australia is free of TB, we must ensure that our selection, quarantine, and testing processes are extremely stringent for the rhinos that will be relocating. This unfortunate development has added additional complexities to the relocation process. Our expert on the ground in South Africa is well informed of all the current challenges and issues with the relocation and will be shortly providing us with a status update on the next steps that are happening in South Africa. We hope to provide a more detailed update on these aspects of the project within the next 2 - 3 months. We wanted to take a moment to thank you for your ongoing and unwavering support. Not for one moment did we ever believe that this project would be so challenging and complex, but we are committed to doing what we can to build a future for rhinos in Australia.